Ambar Diaz, P.A., is an American law firm based in Miami with extensive experience in Cuban-American foreign relations, including business, commercial and immigration issues. 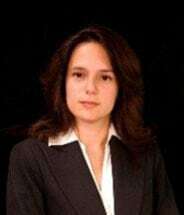 Founding Attorney, Ambar Diaz received her Juris Doctorate from the University of Havana in Cuba, and serves clients throughout South Florida and the United States. The firm helps clients resolve international law, Cuban embargo and immigration issues in the personal and business contexts. As trade relations continue to thaw with Cuba, American businesses and individuals need competent and comprehensive legal advice about visiting Cuba, selling to Cuba and helping loved ones emigrate to the U.S. from Cuba. As a leading authority on the status of Cuban-American business relations, Ambar Diaz, P.A., provides accurate and timely legal advice to clients seeking to do business with Cuba. The firm assists clients validate travel operators to Cuba, obtain and renew export licenses, build internal compliance programs and defend against alleged violations of the Cuban embargo by the Office of Foreign Assets Control. In order to successfully do business in or travel to Cuba, American residents need the advice of an attorney who is fluent in both American and Cuban law. Relying on poor advice or failing to have the proper authorizations from the Department of Treasury can lead to sanctions, fines and imprisonment. Ambar Diaz, P.A., works at the crossroads of American-Cuban relations. The law firm understands how clients can achieve business and personal objectives in Cuba while remaining in compliance with all of the regulations that govern American-Cuban relations. The firm has a track record of successfully procuring export and business licenses for clients seeking to export to Cuba and/or engage in commercial transactions inside Cuba.